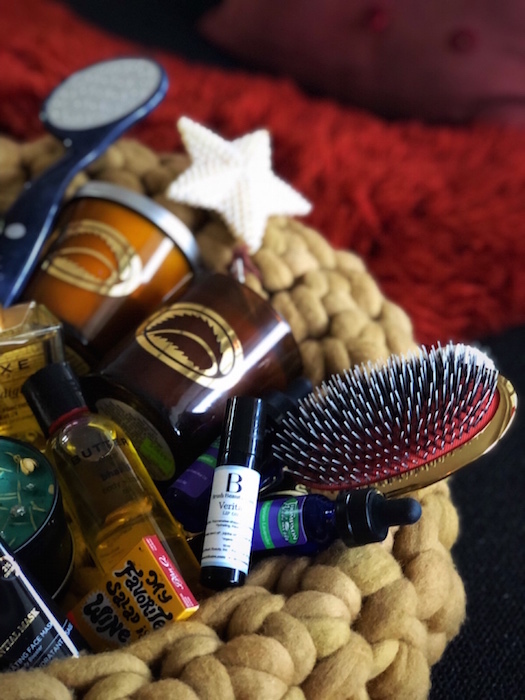 A toast to the ah-mazing wellness basket, curated by our friends at Thompson Chemists NYC. The 25 + some year neighborhood pharmacy / apothecary on Thompson street has been a favorite amongst the locals. The friendly husband-and-wife team Gary (the Pharmacist) + Jolene (the beauty product queen) have been keeping me happy with a stock of curated European and and all natural beauty products for years. 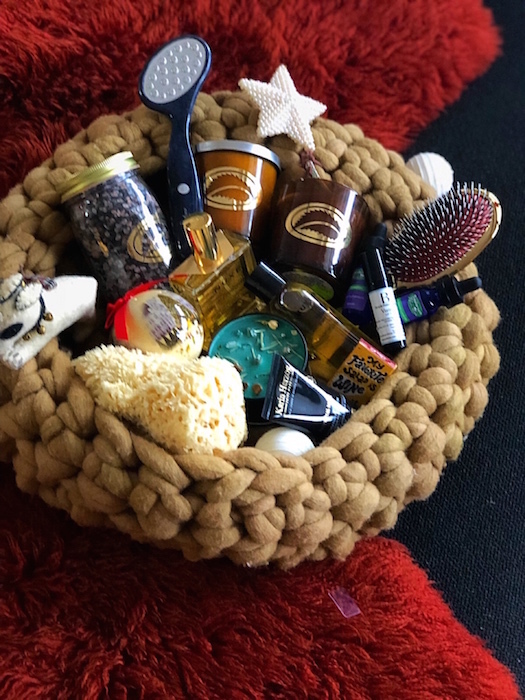 Recently, the duo launched a range of THOMPSON CHEMISTS wellness beauty products including aromatic bath salts, candles, hair brushes, and essential oils. 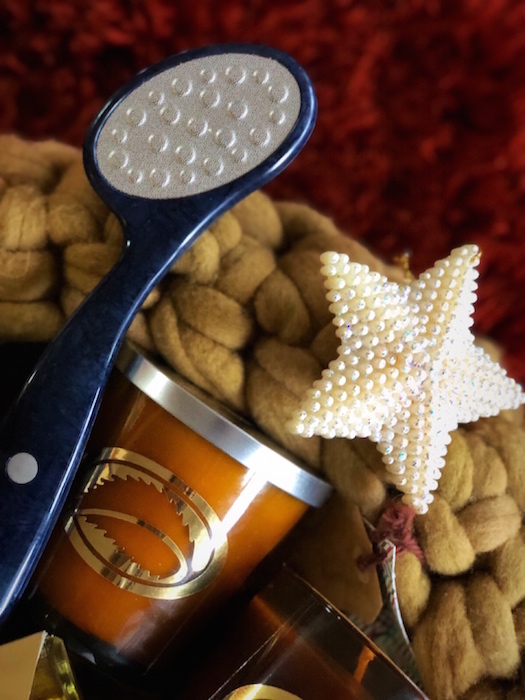 And while checking the candles out for gifts for the holiday season, I teamed up with Jolie to curate a few of her favorite beauty treats for FashionDailyMag: Gifts of wellness to gift friends, family, and ourselves. 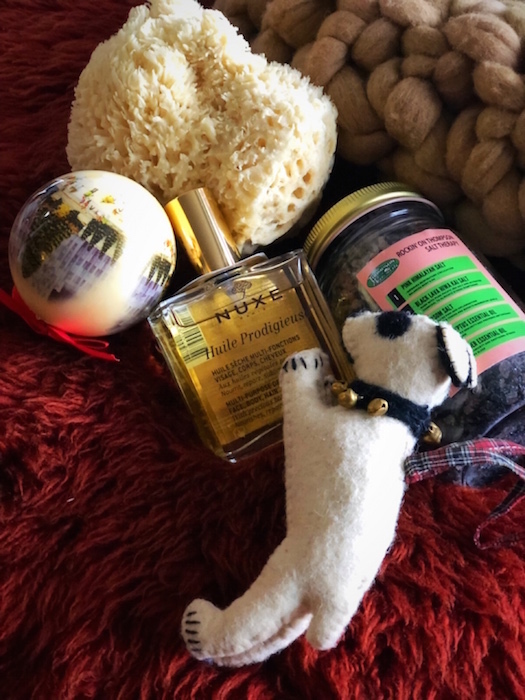 10 FEEL-GOOD BEAUTY TREATS by brigitte segura. photos:@brigitte_segura @fashiondailymag. 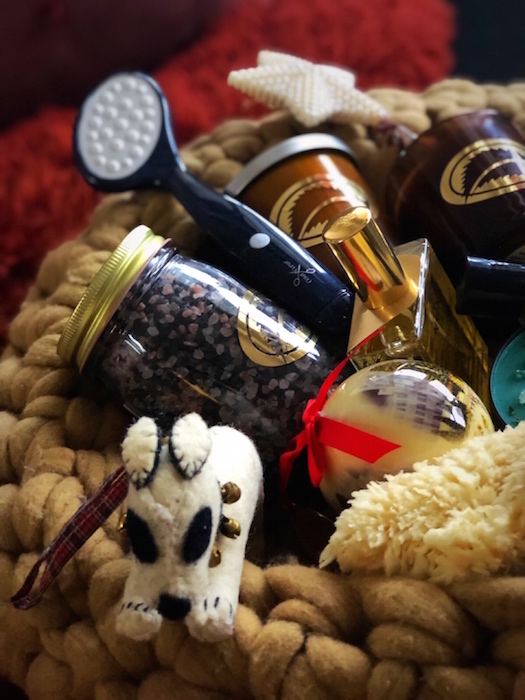 You can get your own curated Thompson Chemists wellness gift ‘basket’ by calling the SoHo NYC store 212-598-9790 (ask for Jolie). 1. Rockin on Thompson Bath Salts by Thompson Chemists. 2. Calm the F**k Down Lavender, Chamomille, mint and Pomello candle (Thompson Chemists). 3. Sweet N’Downtown cedarwood and Vanilla candle by Thompson Chemists. 11. the GOLD brush by Thompson Chemists. You can get your own curated Thompson Chemists wellness gifts by calling the store (ask for Jolie). Deliveries are made locally in NYC, and shipped in the U.S. – mention #FASHIONDAILYMAG for 10% discount! Most (not all) Products are available online at ThompsonAlChemists.com. 132 Thompson St. || New York, NY 10012 || 212-598-9790.
fdmLOVES // FashionDailyMag // fdmLOVESfashion // fdmLOVESmens .